Little-used Track 61, near the Convention Center in the Seaport District, which would get a train station. Imagine finishing lunch at any of the wildly popular restaurants of Fort Point Channel, walking around the corner, and boarding a train that will shuttle you in 10 minutes to the figurative heart of Boston, Copley Square. Turns out this is not just your imagination. The state, with no fanfare, has set aside tens of millions of dollars to launch an innovative train service on a dormant rail line between a pair of the city’s most vital neighborhoods: the Seaport District and the Back Bay. The service should be ready to go in just two years, the planning done without any of the drawn-out permitting processes or neighborhood histrionics that impede so much progress in Boston. 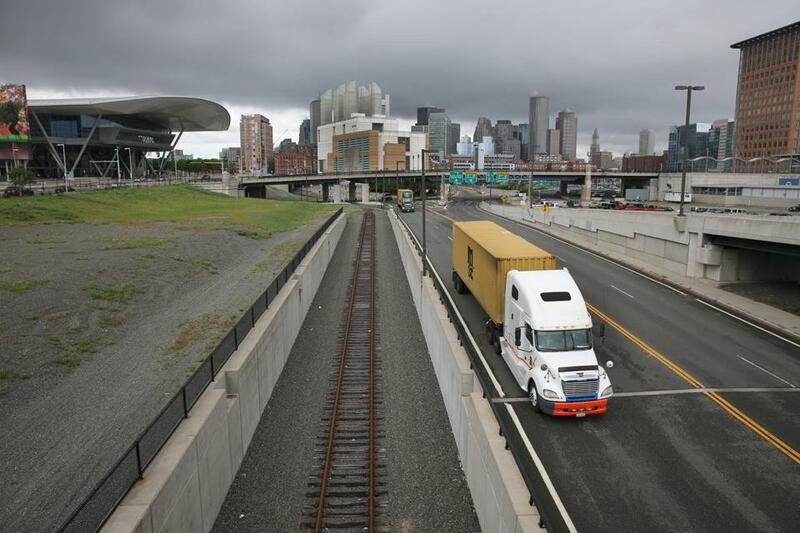 The solution comes in the form of a skinny stretch of barren rail that runs from the South Bay Rail Yard into the South Boston Waterfront, known as Track 61. The project has been quietly placed on a fast track because the state already owns the track after buying a bunch of rail lines from the freight operator CSX in 2009. Manufacturers, meanwhile, are rolling out a more affordable rail car, known as a diesel multiple unit, or DMU, that cities across the country are eager to try. State officials say a diesel multiple unit rail car, like this model produced by Colorado Railcar, would be used on a proposed Back Bay to Seaport District train service. Read: Discuss: What do you think of the proposed train service? Read: 8/23: Can Boston’s most controversial road fix Seaport traffic? Yet it should help solve a confounding problem. These two neighborhoods are less than 2 miles apart, but anyone trying to get from the Seaport to the Back Bay, and vice versa, will attest to how painful it often is. There are many different routes — none of them good. By MBTA, it’s a veritable rainbow of transit lines, involving Silver, Red, Orange, and Green. Pick your poison by car — Storrow Drive, Chinatown, Southie; the nearest thing to a guarantee is stomach-turning traffic. Figure on anywhere from 20 to 40 minutes, more than enough time to pop the required Tylenol. Anyone sitting in a cab amid an infamous Atlantic Avenue traffic jam is watching the meter rise with their blood pressure. Rail service can’t come fast enough to the explosive Seaport District, which will soon outgrow its transportation infrastructure. After Mayor Tom Menino rebranded the waterfront as the Innovation District, tech companies and those that want to be fashionably near them flocked to the area, bringing several thousand jobs over the past couple of years. Thousands more are slated to come soon, which has city and state officials searching for answers amid the congestion. Already, traffic clogs thoroughfares during the evening rush hour, and it can be hard to get a seat on the Silver Line at peak times, forcing commuters to wait it out for the next bus. Greg Selkoe, the chief executive of Karmaloop.com who lives and works in the Back Bay, finds himself in the Innovation District at least once a week for business or pleasure. He arrives by T, by Uber car service, by Hubway bike. Would he take the train? Unequivocally. Budd rail cars served Boston commuters for decades as part of the Boston & Maine and later MBTA rail fleets. If there is one person more excited than Selkoe, it would be Jim Rooney, executive director of the Massachusetts Convention Center Authority. That’s because the state is planning to build the first DMU station just outside the Boston Convention & Exhibition Center. More than a quarter of a million conventioneers are forced to stay in Back Bay hotels annually because there aren’t enough rooms in the Seaport District. Conferences often run bus shuttles to ferry visitors back and forth. Poor Track 61 hasn’t mattered much to anyone for a few decades. Its real heyday was nearly a century ago. Back then, the line was humming with freight cars carrying goods to and from the cargo ships that docked in the Port of Boston. But after World War II, the port began to shrink, and freight lines fell dormant as companies shipped by truck. The state is activating one section of Track 61, between the convention center and the South Bay Rail Yard off the Southeast Expressway. The plans require the state to build a 300-foot stretch of rail connecting Track 61 to the existing system, so passengers will have a seamless ride to Back Bay Station. Eventually, the state can also run a separate route from Track 61 into South Station. The train cars, the previously mentioned diesel multiple units, are also an old concept making a fortuitous comeback. The Boston & Maine Railroad used them in the 1950s and 1960s for commuter rail; people may remember them as Budd cars. They are self-propelled trains that do not rely on locomotive engines, making them ideal for short distances and frequent stops. DMUs fell out of favor, in part because they didn’t meet US rail safety standards. But manufacturers are now making federally compliant DMUs, prompting more cities like Boston to look at them as a low-cost alternative to traditional rail. 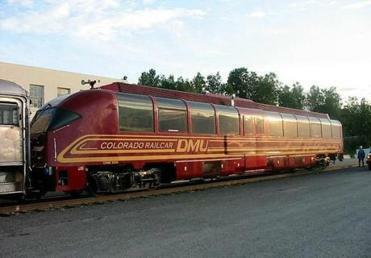 A DMU train car can cost about $4 million, compared to about $10 million for a locomotive train. DMUs are not fancy; the Orient Express this is not. Governor Deval Patrick included DMUs in his $13 billion “Way Forward” transportation plan, unveiled in January, and with the Legislature’s recent approval of transportation financing funding, the Patrick administration has decided to spend roughly $100 million on DMU-related projects, including Track 61. A good chunk of the money will go toward buying DMUs for the MBTA’s Fairmount Line, which runs through Dorchester and Mattapan, and that line will get the new rail cars first. Secretary Davey said the fare on the new, yet-to-be-named MBTA-operated rail line would probably be similar to that for a T ride, about $2. I’m not telling him how to run his business, but he could charge far more in a city starved for more and better transit options. “They would pay $4 to $5, no problem,” said Jeff Bussgang, a general partner at Flybridge Capital Partners, who shuttles between his office on Boylston Street and the Seaport District, where he has three portfolio companies. Nothing good is ever simple in this city, but this time, it may be.